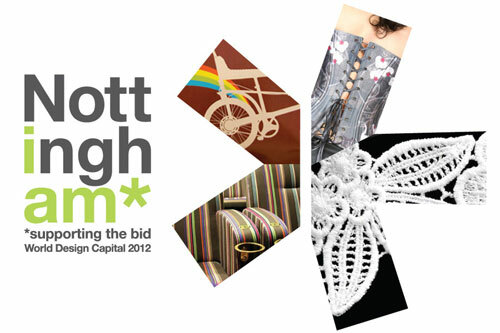 Nottingham City Council is preparing its bid to become World Design Capital 2012, supported by an innovative and highly-targeted marketing approach designed to appeal to, and interact with, the creative industries. Lawrence & Pierce were delighted their „i am*“ campaign proposals were chosen to front this exciting bid opportunity. The proposition offered a range of multi-media tactics for both the initial bid collateral, the bid campaign and as an ongoing aid to the Council’s strategy of supporting the creative and design industry in Nottingham. One of the key considerations for L&P was to ensure the brand had resonance across the wide range of design disciplines the City boasts.